After spending some time traveling in your motorhome, you have probably noticed things that are missing or that could be improved in your motorhome. Either it brings more comfort, usability or permits savings, here are the most popular motorhome modifications and upgrades! Solar power Depending on your needs, getting solar power on your motorhome could be very costly. But we know that the cost is dropping every year and that many types, sizes, and qualities of solar panels can be found on the market. So this is a real investment, but an investment worth making. 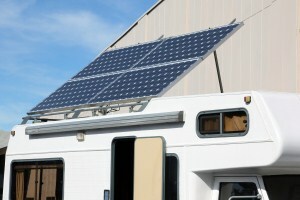 Solar power will actually be a source of costs savings and give you more autonomy while RVing. LED lighting LED Ligh bulbs are not that expensive, and exist in a variety of shapes and sizes, depending on the use. More and more people use LED lights to lower their energy consumption, and save money. But not only. The LED lighting improves visibility inside and outside the motorhome, and lasts longer. There are even cooler shades, like fluorescent ones, that are giving a fancy look to highlight your beautiful motorhome. Inverter A motorhome inverter basically converts the 12 Volt power from your RV batteries into 120 Volt power. Giving you the possibility the use very common items such as a microwave, coffee machine, laptop, Hair dryer, washing machine or TV… without being plugged into external power or using the noisy generator. You can chose the perfect inverter for you depending on your needs and types and number of items you need to use. 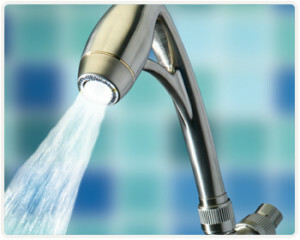 Shower Head This is an upgrade adopted by many RVers, it provides more comfort and is a great option for saving water. It’s a shower head turning a weak water pressure into a strong one, uses less water so water tanks can last longer while keeping water temperature constant. Digital TV Signal Booster As you know watching your favorite TV show while RVing could be a real challenge, since many factors can interfere and block digital TV and satellite signals. This digital TV signal booster will boost incoming television signal with amplified antennas and deliver a clear reception. Tell us if you have already tried one of these most popular motorhome modifications and upgrades! You can also read our articles « How to Handle a Motorhome Accident? » and « Best Designed and Most Innovative RVs » on our Blog.